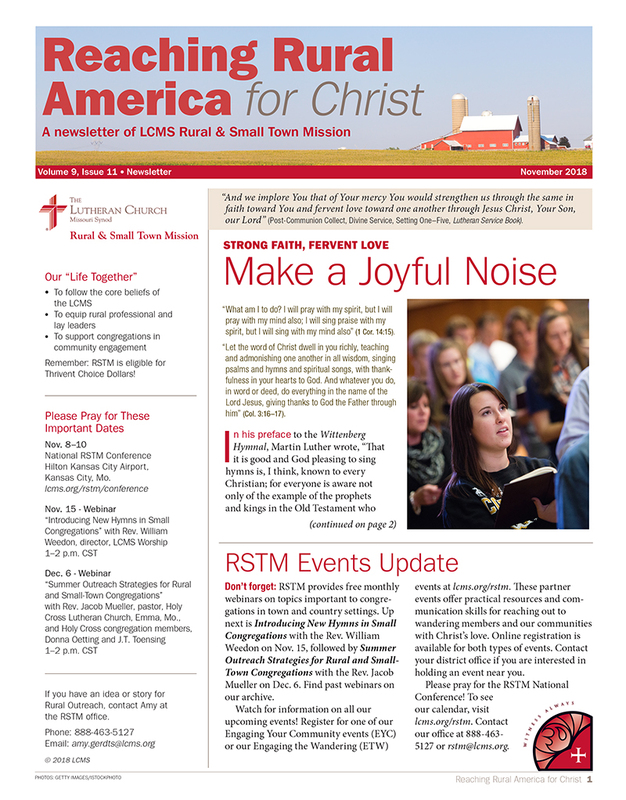 This issue of Reaching Rural America for Christ highlights how worshipers can benefit when smaller congregations expand the base hymnody and liturgy. Offering a wider selection allows individuals to encounter music in a fresh, new way, and members may come to a deeper appreciation of the liturgy in worship and in their lives. The newsletter also offers information about free monthly webinars.